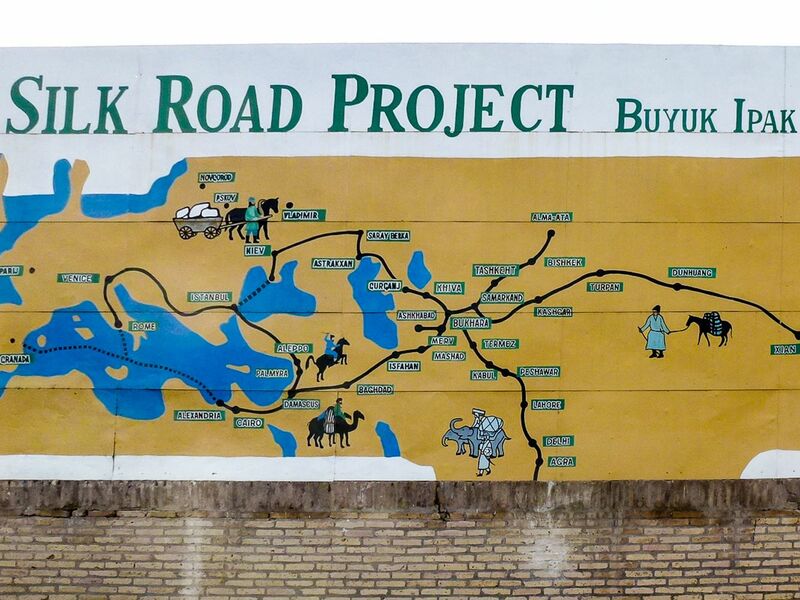 We’ve probably all heard of the Silk Road, but how many of us really know what it is? 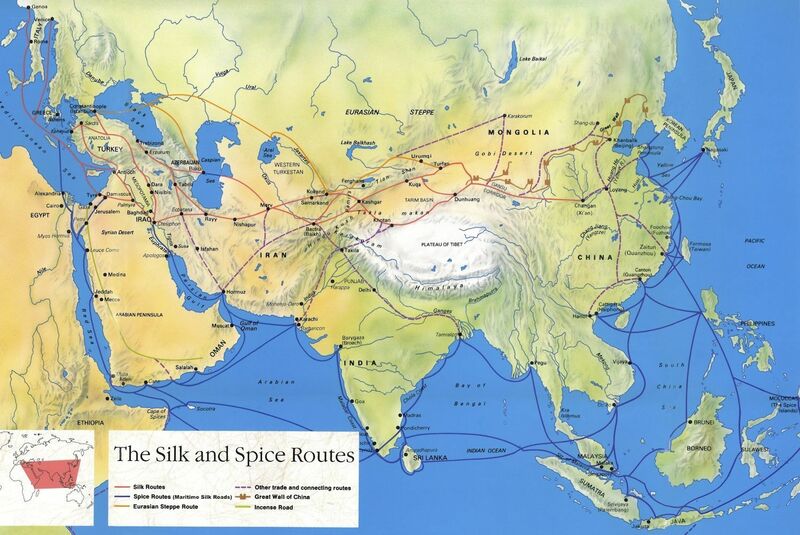 The Silk Road consists of an extensive network of trade routes that has been around for over 2000 years, connecting the West with the East. 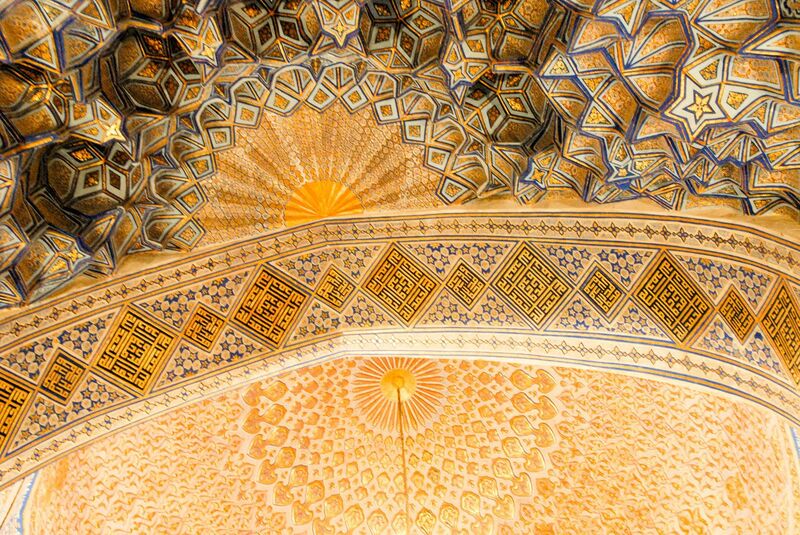 The Ancient Silk Road conjures up many romantic images: exotic Royal courts decorated in an opulent style, camel trains traversing vast deserts and merchants haggling in crowded and atmospheric bazaars. Picture the scene and you can almost smell the perfume, see the dust and feel the breeze. From Italy to China and all places in between, the Silk Road evolved constantly, engaging travelers and entwining the lives of diverse groups of people. Numerous civilizations, cultures, and religions have been caught up in and affected by the goings on along this route. Though there is no definitive answer as to what (and who) comprise the Silk Road, Central Asia lies at its heart. As early as 1000 BC there are records that confirm silk was found amongst the burial goods of Egypt’s mummies, suggesting the Silk Road’s traders were already active by then. However, it’s generally held that the establishment of stable trading patterns and diplomatic links can be attributed to Zhang Qian in the 2nd century BC. He roamed far and wide beyond China’s borders, returning with information and opportunities. One of his greatest finds was the discovery of tall, strong and “blood-sweating heavenly horses” from the Ferghana Valley, since horses were a status symbol for the Royal Court. Fortunately, Chinese silk was just as coveted by Central Asia’s rulers and so the trade was not only possible but greatly encouraged on both sides. The wealthy Romans, too, were keen on silk, further developing the importance of the Silk Road. What are the origins of silk? Archaeological finds attributed to Chinese sources suggest that silk was produced already 6000 years ago. If you believe in legends, it’s more likely that you’ll hold it was the wife of the Yellow Emperor who was responsible for the development of this soft and luxurious cloth. So the story goes, she was taking tea beneath a mulberry tree but was distracted by a cocoon that fell from the tree. As she picked it up, a silk thread began to unravel. Tugging on it, she realized that the thread was strong but smooth – perfect for weaving. This sudden discovery remained a carefully guarded secret and silkworms were bred in private. Those involved in the cultivation were threatened with death if the secret should escape. By the 6th century AD, two monks let the cat out of the bag and sericulture spread across China. Since then, it has spread further, with India and Uzbekistan today the major silk producers after China. Traditional silk production methods are used to this day. Silkworms form cocoons which are steamed in water and then removed so that the thread can be unwound. Silk farms cultivate billions of caterpillars, known as Bombyx mori. 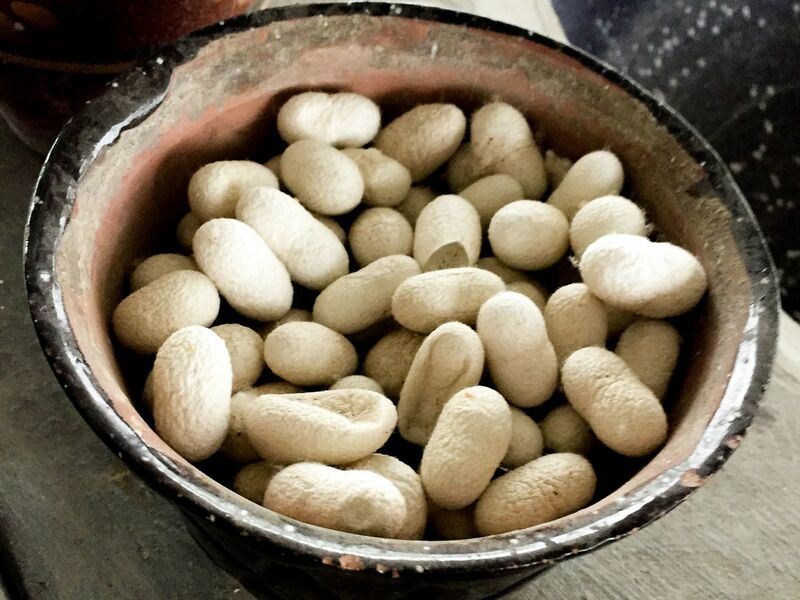 Around 3000 cocoons are required for the production of just 500 grams of silk. Each domesticated silkworm can lay thousands of eggs, which hatch into caterpillars which are fed on mulberry leaves. Fully grown, the caterpillar weaves a cocoon in about two or three days. These cocoons are sorted by size and color. Their thread forms raw silk, which can then be dyed with natural dyes. Yellow traditionally was reserved for Chinese Royalty. In the 1880s artificial silk or viscose was invented but even today, it’s considered no match for the real thing. What else was traded on the Silk Road? 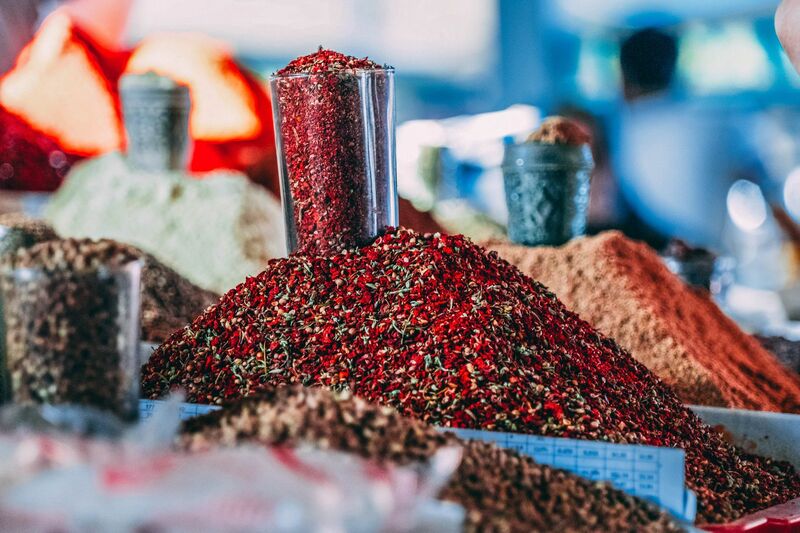 Despite its name, silk wasn’t the only product traded on the Silk Road. The name itself was coined in the 19th century by the German geographer Ferdinand von Richthofen and only came into mainstream usage in the 20th century. 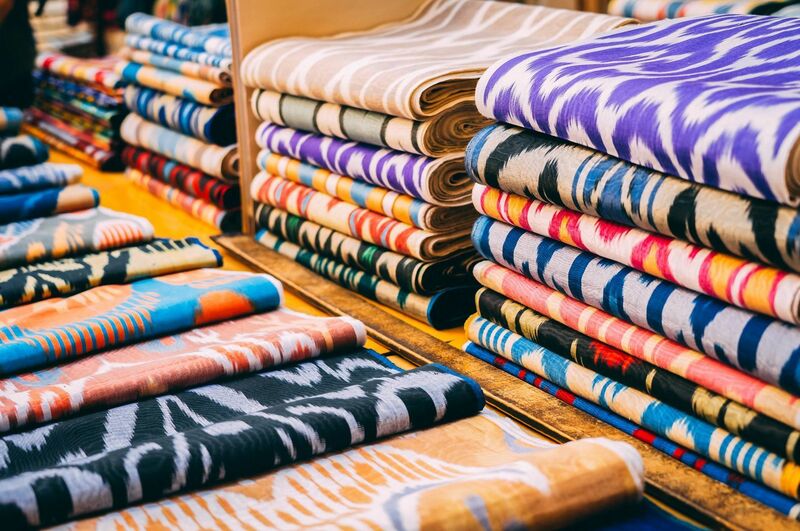 China exported silk, porcelain, lacquer, jade and bronze, whereas it coveted Central Asian horses, camels, carpets, precious stones, Roman glassware and gold embroidery. India traded ivory, jewels, cotton, spices, and dyes. Eastern and Northern Europe traded fur, wild animal skins, slaves, gold and silver. Persia exported dates, saffron and pistachio nuts. Basically, anything and everything could be traded and this was an early form of the global marketplace, as many different small routes fed onto the main highway. Why was the Silk Road important? Aside from the trade of goods, the Silk Road also had another vitally important function – facilitating communication between different cultures and peoples. As the route stabilized, ideas crossed too, linking the thoughts and ideals of Zoroastrianism, Buddhism, Judaism, Christianity, and Islam. Revolutionizing ideas of mathematics, algorithms, paper making, book printing and even gunpowder traveled along the Silk Road. Ideas generated in one part of the world were polished and improved upon in another. But the Silk Road also had destructive powers – different civilizations would go into war over trade advantages, knowledge and territory. Disease also spread, carried by traders. The same road that brought silk and spice brought bubonic plague to Europe and enabled the Mongols to use infected bodies as a crude form of chemical weapon as they were thrown into fortified cities. But many grew rich as a result of the road’s possibilities and wealth no longer necessitated a role as a king, warrior or religious leader. Most agree that the starting point for the Silk Road is Chang’an, the ancient capital of China or Xian in modern China, from there three main routes originated. The northern route went around the Taklamakan Desert to Kashgar in modern China, traversing the Tian Shan or the Pamir Mountains in Central Asia before continuing on to either to Balkh, Termez or Kokand, Samarkand and Bukhara in Uzbekistan and then Merv in Turkmenistan, Baghdad, Palmira, Turkey and finally Italy. The southern route went from China to the Karakorum highway to Merv, modern Iran and then through Egypt, Turkey, Jordan before finishing up in Europe. The southwestern route is also known as the Tea Horse Road and extended to the Himalayas and South Asia. It went from Xian to Chengdu, then Lhasa and Kathmandu before turning south, bound for Burma, Bangladesh, and India. The Maritime Route was known as Spice Route. When was the Golden Age of the Silk Road and when did it decline? Trade between East and West naturally altered in scope or pace every time there was a significant new idea or a change of power within one of the nations along the route. When politics ensured the merchants’ safety, trade flourished. From the 2nd century BC to the 1st century AD, links were strong between China, Central Asia, Parthia and the Roman Empire. From the 7th to the 10th century, Islam spread and with it came the conquest of the Arabs that had controlled large parts of the Silk Road up to that point. Later still, the Silk Road was protected and controlled by the Mongols, successors of Genghis Khan. But from the 16th-century overland trade slowly declined with the rise of maritime trade and the Silk Road was sidelined. As a consequence of the Silk Road, hundreds of cities made their fortune on trade, but as change occurred, they were not only created but also destroyed. Central Asia is packed with such a legacy and there is a plethora of UNESCO World Heritage Sites to explore. 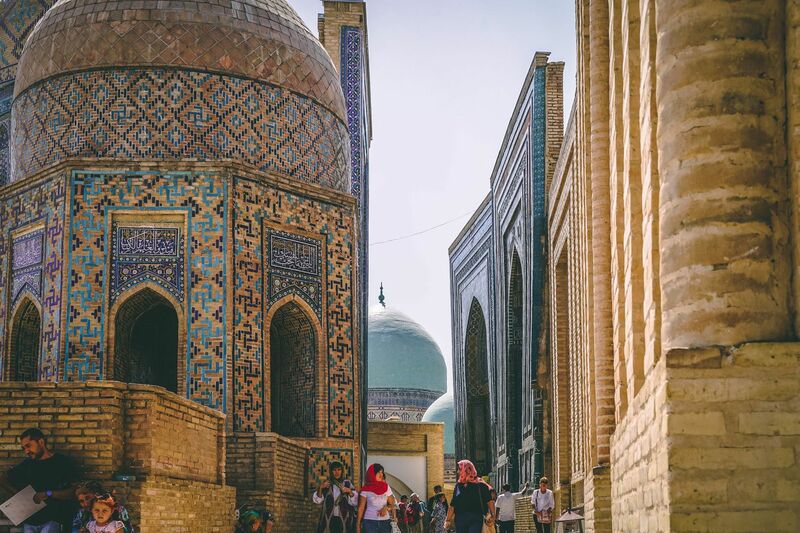 Uzbekistan leads the way, preserving the marvelous atmosphere of the Silk Road with its lavishly decorated mosques, madrassas and crowded bazaars filled with embroidered silk and scarves. Both nomads and settled people came to know Central Asia for its fertile valleys and the grapes, peaches, pomegranates, watermelons, and melons that they bore. Prominent Silk Road cities that are located in modern Central Asia include Almaty, Andijon, Balasaghun, Bukhara, Istaravshan, Khiva, Khujand, Kokand, Merv, Nisa, Otrar, Shahrisabz, Samarkand, Tashkent, Termez and Urgench. In 2014, UNESCO inscribed part of this extensive ancient route as a World Heritage Site under the name “Silk Roads: the Routes Network of Chang’an-Tianshan Corridor.” This route from central China to Kyrgyzstan and Kazakhstan include 33 objects that once linked and facilitated a network of traders stretching for 5000 kilometers. Who were the travelers on the Silk Road? Of course, there are numerous books written about the Silk Road. Google it and you’ll be faced with a list of 43 million results! 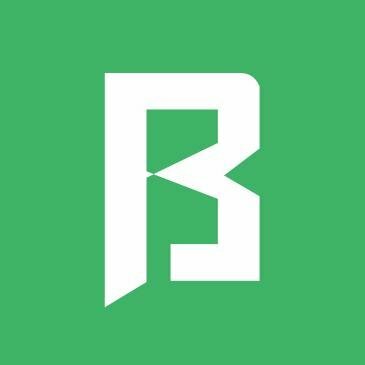 Amazon lists 2788 book results, not including detailed research in each country that was once part of the Silk Road. We’d recommend starting with James A. Millward‘s excellent “The Silk Road: A Very Short Introduction”. Another easy to read book is written by Xinru Liu and is entitled “The Silk Road in World History (New Oxford World History). 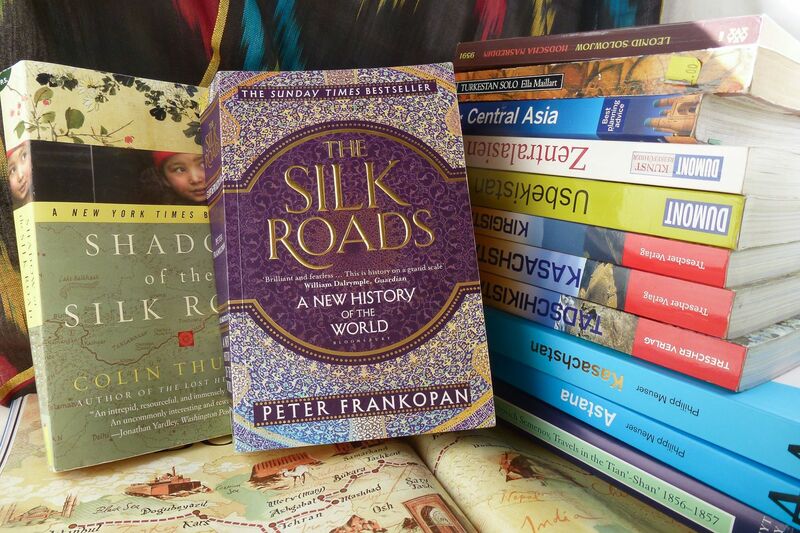 Currently trending is the book by Peter Frankopan “The Silk Roads: A New History of the World” which has become an international bestseller, giving a brief overview of these complex routes. A very readable travelogue written in 2007 by Colin Thubron is the “Shadow of the Silk Road” which gives his subjective impressions. Since the 1970s UNESCO has been involved in researching and promoting the Silk Road and the civilizations which are to be found along it. In 1993, the UNWTO Silk Road Programme was established to preserve the Silk Road’s heritage, while developing tourism by advancing the concepts of sustainable development. 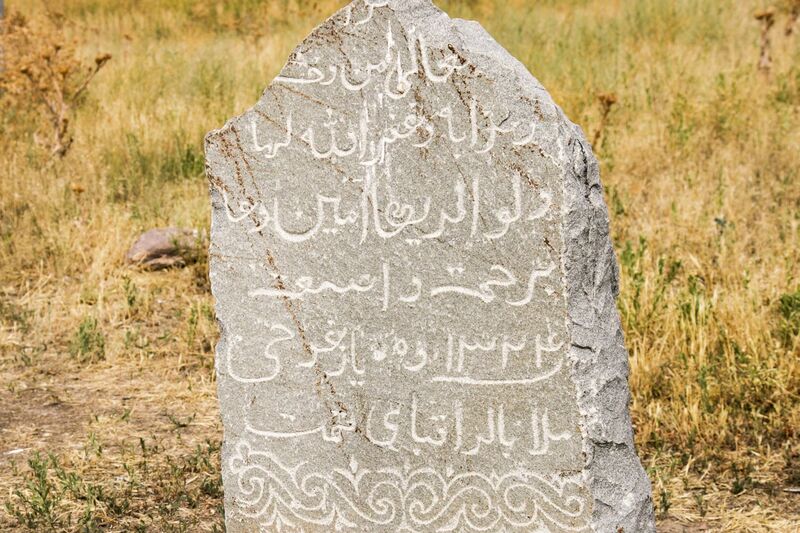 Moreover, the UNESCO Silk Road platform was established to revive the intercultural communication connected to the ancient route. There are more than 50 member states that take part in this platform along with many private sector companies and NGOs. The Silk Road Project was established in 1998 to promote the arts and facilitate dialogue across the continents as the Silk Road once did. Indeed music, theater, architecture and decorative art was an important part of the ancient route that dictated trend and connected cultures. In 2013, the New Belt and Road Initiative was announced that would literally revive maritime and overland trade between China and Europe. The idea was pioneered by HP, shipping computers by rail from China to Germany just in 2 weeks. A new central gateway, Khorgos, was established in modern Kazakhstan, to resolve the problem of the incompatibility of Chinese and Western railways. 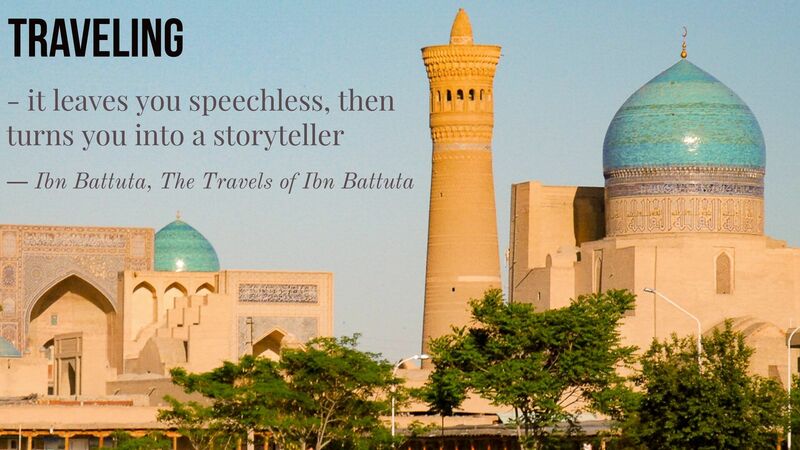 Why travel the Silk Road today? It’s the trip of a lifetime! Traveling the Silk Road is still as exotic, adventurous and full of variety as it was millennia ago. If you travel from Europe to China, you will experience many diverse cultures and at the same time find many similarities. Nowadays it is easy, fast and safe to travel the major Silk Road routes. However, just like the original Silk Road traders, few people do the whole route. Rather, they choose a part that they would like to explore more fully. Another excellent short explanatory video is by Ted-ED. 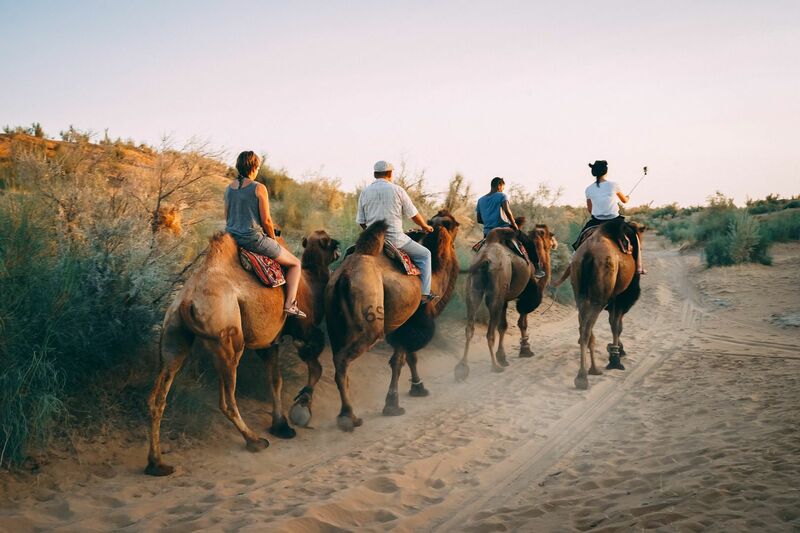 Our favorite part of the Silk Road is in Central Asia, as you can still feel the atmosphere of past époques and experience the centuries-old culture of nomads and settled cities. 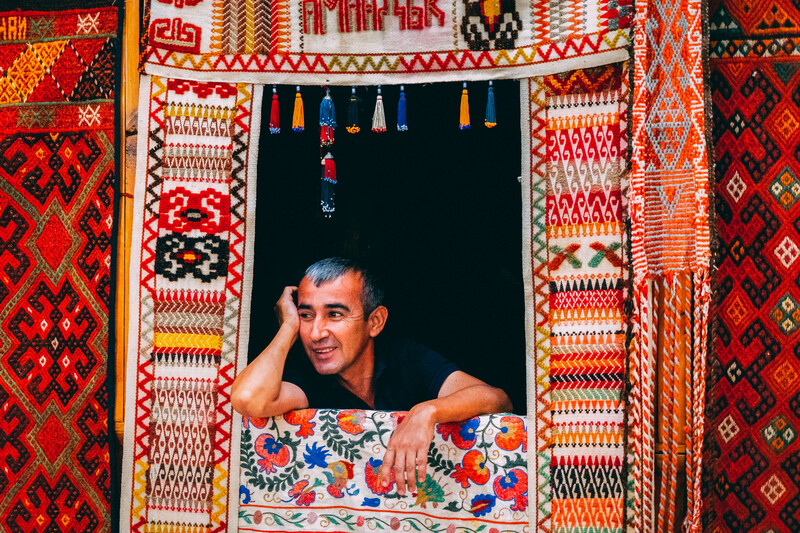 We recommend exploring the Silk Road heritage in the fascinating cities of Uzbekistan and perhaps combine it with a visit to the pastures that are home to the nomads of Kyrgyzstan. 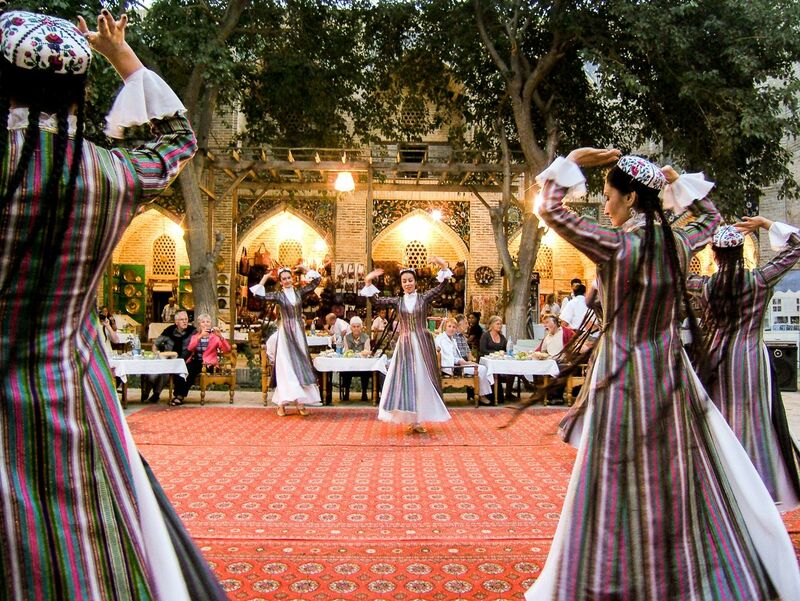 We also have a “4 Stans” tour that concentrates on the Silk Road heritage of Uzbekistan and introduces the traveler to Tajikistan, Kazakhstan and Kyrgyzstan.